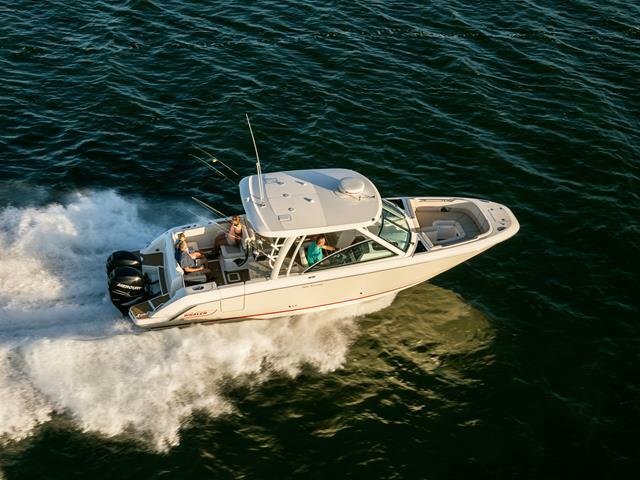 The 320 Vantage is the next evolution in dual-console capability. 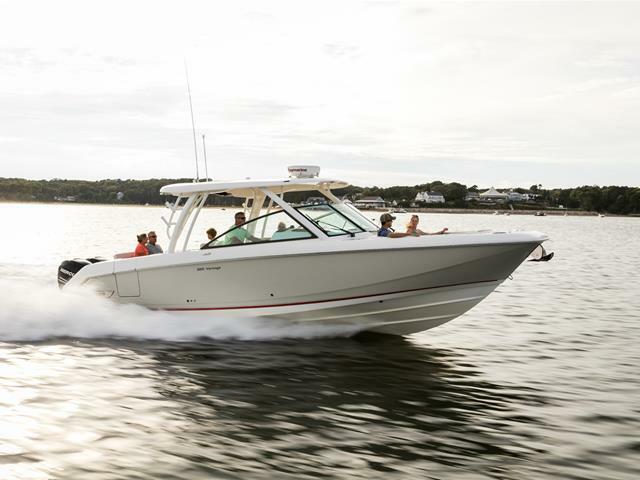 Cutting-edge features and amenities are the hallmarks of this multicapable model. 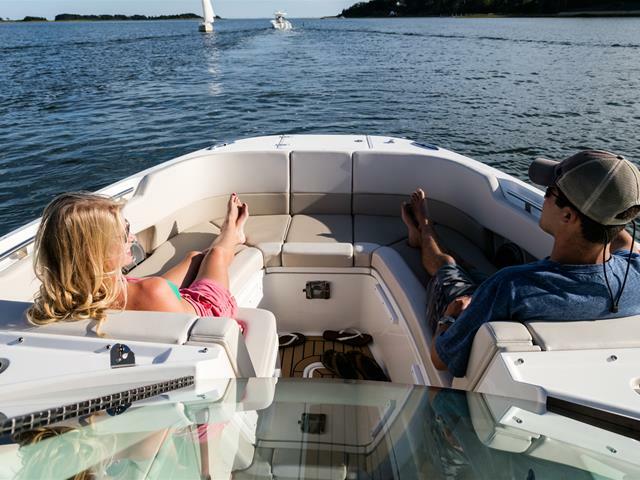 The portside companion area features two spacious benches with multiple configurations–facing forward or aft, combined to form a huge sun lounge, with bolsters up, with or without the aft ottoman engaged… the list goes on. 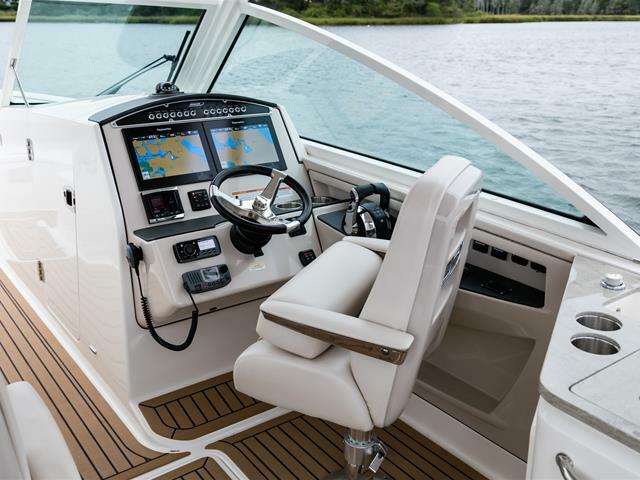 At the helm, a state-of-the-art VesselView display and available Raymarine® navigation electronics offer seamlessly integrated control. 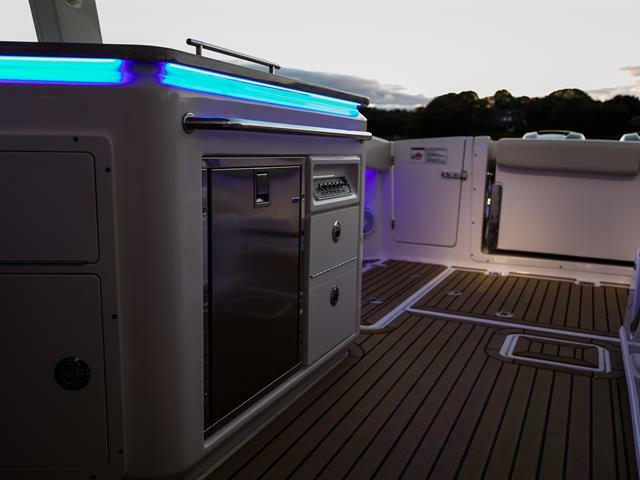 For entertaining, the cockpit utility center with electric grill, fridge and sink can feed a crowd–and can be optioned as a complete fish prep station. 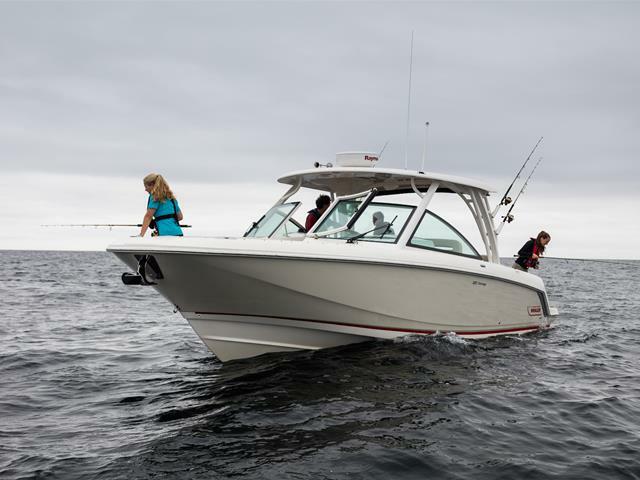 Strong, reliable and efficient Mercury Verado® outboards power day-long watersports or cruising, while a new cockpit sunshade deploys electronically from the hardtop to extend protection all the way to the convertible aft bench. 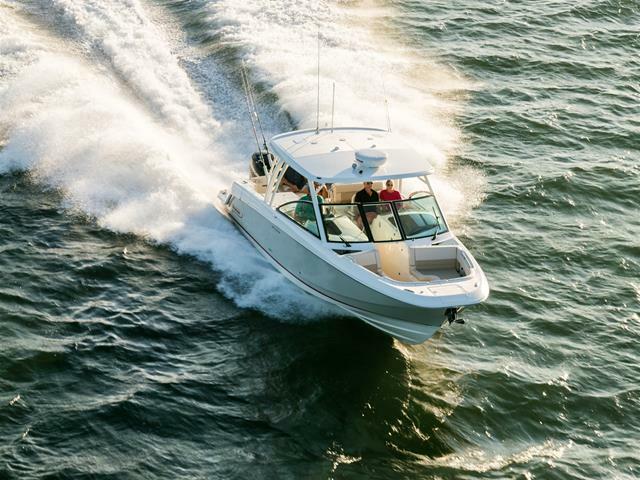 The 320 Vantage also features a starboard dive door with a removable stainless-steel ladder for easy water access. 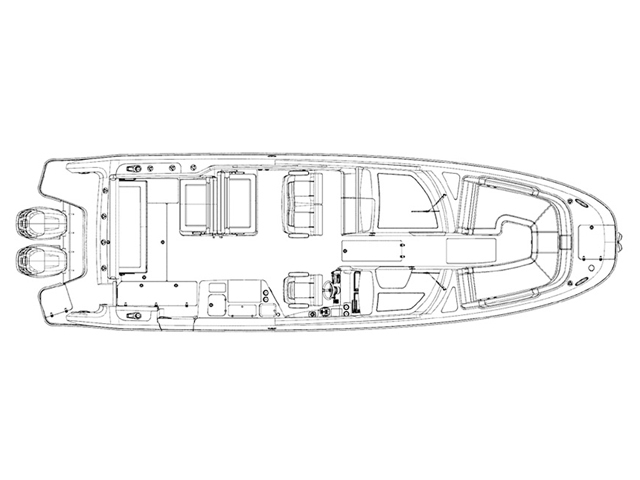 And with generous port and starboard console compartments, featuring a convertible berth and a well-equipped head, respectively, every member of the crew can enjoy added comfort. When the softest, safest ride meets the best equipped dual-console around, new possibilities become eminently possible.